When it comes to setting the mood for a romantic evening with that special someone in your life, nothing quite compares to the perfect blend of essential oils. Pick and choose your favorites from this list of the most romantic essential oils. These sensual essential oils are best used in a massage oil blend that can be applied to your, or your partner’s skin. Read our guide on blending essential oils here. Mix the essential oils you’d like to try using the instructions in the article above and dilute in a carrier oil (such as sweet almond oil, jojoba oil, olive oil or one of these) at a ratio of no more than 2%. 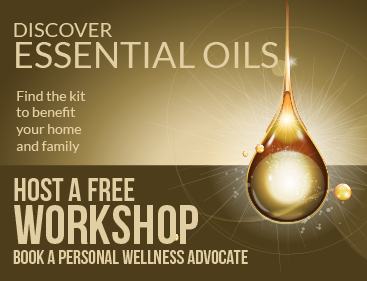 Read our Essential Oil Safety Guide before using essential oils. Allspice oil is distilled from the berries of Pimenta dioica (aka. Pimenta officinalis.) This fresh, warm, spicy, and sweet middle note will lend hints of cinnamon, clove, and nutmeg to your oil blend. Allspice blends well with black pepper, coriander, ginger, neroli, and ylang ylang essential oils. Atlas Cedarwood oil is distilled from the wood of the Cedrus atlantica tree. This base note has a rich woody and balsamic fragrance. Atlas Cedarwood has been traditionally used for relaxation and as an earthy undertone in perfumes. This relaxing oil is also known for its regenerative and detoxifying properties. Mix Atlas Cedarwood with clary sage, jasmine, neroli, rosemary, sandalwood, and ylang ylang essential oils. Cinnamon Bark oil is distilled from the dried inner bark of Cinnamomum verum (aka. Cinnamomum zeylanicum.) This warm herbal spice may be used as a middle or base note, depending on the properties of the oils with which it is blended. Cinnamon Bark has been traditionally used for its antiseptic qualities and as a popular culinary seasoning. The oil is also a powerful stimulant and digestive aid. Cinnamon Bark oil mixes well with ginger, rose, vanilla, and ylang ylang essential oils. Coriander is a popular culinary seasoning that has long been used in the fragrance industry for its stimulating qualities. The oil also improves digestion and detoxifies the body. Coriander Seed oil mixes well with black pepper, cinnamon, clary sage, ginger, jasmine, neroli, nutmeg, sandalwood, and ylang ylang essential oils. Davana oil is distilled from the leaves and flowers of Artemisia pallens and adds a rich, sweet, and fruity base note to oil blends. Traditionally used for religious offerings, Davana is still recognized as a symbol of spirituality in addition to its delightful aroma which is said to evolve in response to the individual body chemistry of the person wearing or smelling the oil. Davana blends nicely with black pepper, jasmine, neroli, rose, sandalwood, vanilla, and ylang ylang essential oils. Ginger oil offers a warm, fresh, slightly sweet and woody aroma to a blend. Distilled from the root of Zingiber officinale, this oil may be used as either a middle or top note. Traditionally known for its power to aid digestion and ease a sick stomach, ginger oil is also very stimulating and is often added to fragrances for its deep earthy undertones. Ginger oil mixes well with cedarwood, coriander, jasmine, neroli, rose, sandalwood, and ylang ylang essential oils. Rich, floral Jasmine oil is one of the most popular of all sensual floral oils. This warm middle note is distilled from the flowers of Jasminum grandiflorum. Jasmine is traditionally used to add its sensual floral fragrance to perfumes. It may also be used to calm the nerves and relax the body. Jasmine oil blends well with clary sage, coriander, ginger, neroli, rose, sandalwood, and ylang ylang essential oils. Mace oil is distilled from the arils of Myristica fragrans (the same plant from which Nutmeg is harvested.) This middle note adds a bright, warm, and spicy aroma to an oil blend. Mace has a long history of use as both a culinary seasoning and as a popular ingredient in fragrances. The oil is also very stimulating to both mind and body. Mace oil mixes well with clary sage and neroli essential oils. Nutmeg oil is a warm and spicy middle note, similar to Mace and is distilled from the seeds of Myristica fragrans. Traditionally, Nutmeg has been used in cooking and to impart a warm, nutty undertone to fragrances. Nutmeg is stimulating to both mind and body. The spice and the oil are said to invoke vivid dreams if used shortly before bedtime. Nutmeg blends well with clary sage, coriander, and rosemary essential oils. Neroli oil may be used as either a middle or top note depending on the blend. This oil possesses the light, sweet fragrance of the Citrus aurantium (aka. Bitter Orange) flowers from which it is distilled. Neroli is traditionally used to calm the mind and soothe away tension. It is also known for its ability to heal skin and promote a more youthful appearance. Neroli oil blends nicely with clary sage, coriander, ginger, jasmine, rose, sandalwood, ylang ylang essential oils. Black Pepper oil is a strong and sharp middle note which is distilled from the dried fruit of Piper nigrum. This oil imparts a dry and spicy kick to a blend. Black Pepper is traditionally known as a culinary seasoning and digestive aid that is very stimulating to both mind and body. Black Pepper oil blends well with clary sage, nutmeg, rosemary, sandalwood, and ylang ylang essential oils. Pink Pepper oil – while in no way related to that of Piper nigrum – has a similar spicy aroma. Distilled from the seeds of Schinus molle (aka. the Peruvian peppertree), this oil also has sweet and fruity characteristics. Pink Pepper may be used almost interchangeably with Black Pepper and has many of the same effects, including use as a digestive and stimulant. Pink Pepper oil blends well with clary sage, nutmeg, rosemary, sandalwood, and ylang ylang essential oils. Bulgarian Rose oil is distilled from the flower petals of Rosa damascena (aka. the Damask Rose.) This floral middle note is very rich and sweet with just a hint of spice. Traditionally, Bulgarian Rose has been used to inspire sensuality and to relax the mind. The oil is a popular component in perfumery. Bulgarian Rose oil blends nicely with clary sage, ginger, jasmine, neroli, sandalwood, and ylang ylang essential oils. Rosa rugosa has a hypnotic sweet scent which makes it an excellent addition to sensual blends. The oil is also a popular component in perfumery. Chinese Rose oil blend beautifully with coriander, ginger, jasmine, neroli, sandalwood, and ylang ylang essential oils. Rosemary oil is distilled from the flowering tops of Rosmarinus officinalis. This middle note has a strong and fresh, woody, camphor-like aroma. Rosemary is a traditional symbol of love and matrimony. It is also known for its digestive and stimulating qualities. Rosemary oil mixes well with black pepper, cedarwood, cinnamon, and clary sage essential oils. Clary Sage oil is distilled from the leaves and flowers of Salvia sclarea. This middle note add a dry, musky, bittersweet floral aroma to a blend. Traditionally, Clary Sage is known for its ability to clear blurred vision and revitalize tired, strained eyes. It is also known for its ability to soothe nerves and create a warm, slightly euphoric environment. Clary Sage oil blends well with black pepper, cedarwood, coriander, jasmine, rose, and sandalwood. Australian Sandalwood oil is distilled from the roots and heartwood of the Santalum spicatum tree. This base note lends a smooth earthy, woody, and slightly balsamic undertone to oil blends. Australian Sandalwood is known for its soothing and relaxing qualities. Due to its subtle, yet lingering earthy aroma, Sandalwood is a favorite among sensual oils for both genders. Sandalwood oil blends beautifully with vanilla. It also mixes well with black pepper, clary sage, jasmine, neroli, rose, and ylang ylang essential oils. Winter Savory oil is distilled from all parts of the Satureja montana herb. This middle note has a powerfully verdant and somewhat medicinal herbal aroma. Winter Savory is traditionally known for its digestive properties. This stimulating oil is also popular in fragrances. Winter Savory oil mixes well with citrus and with other green herbal essential oils like rosemary. Vanilla oil is distilled from the seed pods of the Vanilla planifolia orchid. This base note is wonderfully rich, creamy, and sweet with just a hint of floral aroma. Traditionally, Vanilla is used in fragrances and to invoke a sensual atmosphere. Vanilla oil blends deliciously with sandalwood. The oil also mixes well with jasmine, rose, and ylang ylang essential oils. Ylang Ylang oil is a rich, sweet, floral base note that is distilled from the flowers of the Cananga odorata tree. Ylang Ylang is traditionally used in fragrances. The oil is also known for its relaxing and mood-lifting qualities. Ylang Ylang essential oil mixes well with just about everything. Plant Therapy are our #1 recommended supplier of essential oils. You can browse their entire selection at their official website here. All oils are third party tested for quality and purity, shipping and returns are free and they stock every essential oil you can think of. Shop Plant Therapy Essential Oils here. For safety and health purposes, remember that some essential oils may be dangerous for people with liver or kidney problems, as well as for those with sensitive skin or plant allergies. Always perform a skin patch test at a low dilution before using essential oils externally. Pregnant or nursing women are advised to avoid essential oils as many of them can have a negative impact on developing fetuses and small children. Please note that the majority of essential oils are for external use only. Even when specified as food-grade, consumption of essential oils can be very dangerous or even fatal under certain circumstances. When in doubt, always consult with a medical professional before using any essential oils for any purpose.